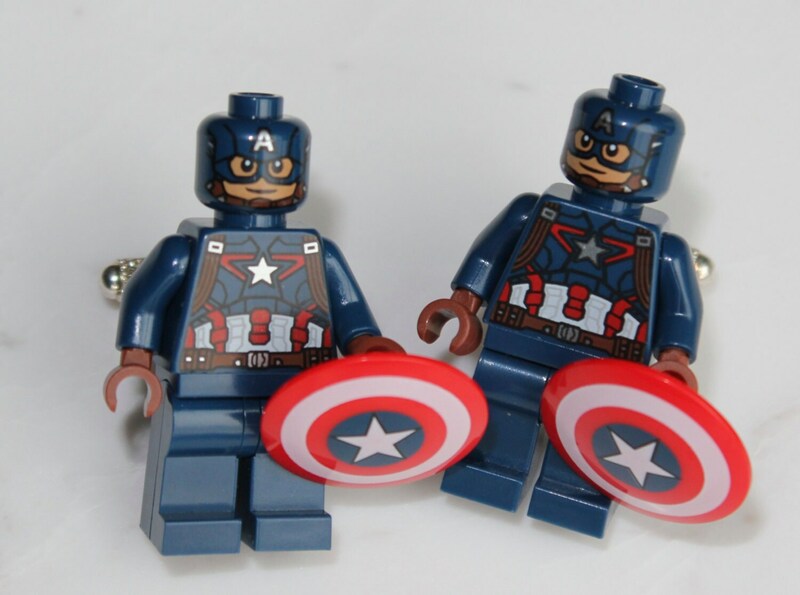 The perfect gift for the Captain America fan. 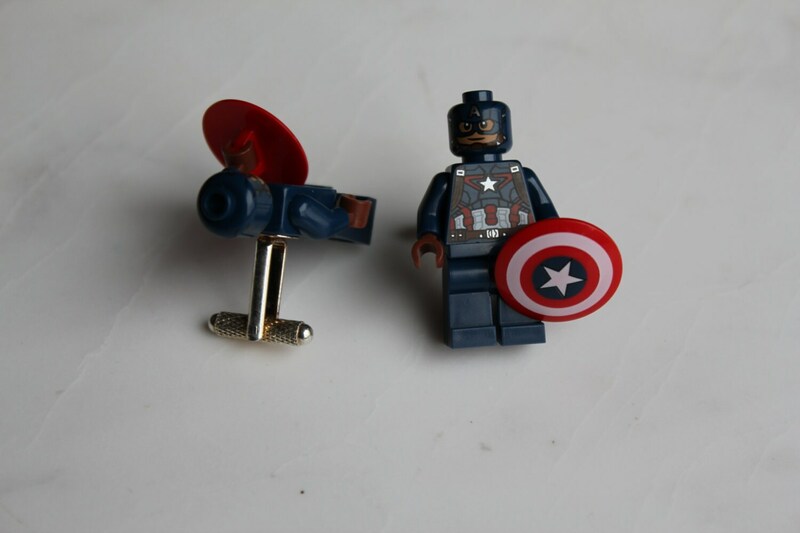 Beautiful silver plated cufflinks with a genuine Captain America Lego minifigure and shield on each link. Individually hand made with meticulous care. Let me know if you want a different character and I can custom make a set for you!